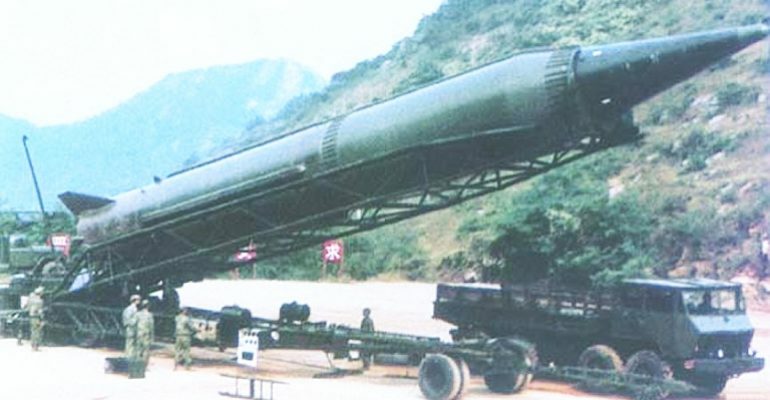 Designed to be China’s first modern missile, the DF-3 carries a range of up to 3,000km and was deemed operational in 1971. The silo-based, single-stage, IRBM uses a liquid propellant and an inertial guidance system. [i] The DF-3, and its improved variant the DF-3A, have largely been replaced by the DF-21 and only a minimal number of DF-3 missiles are suspected to exist today. Many outmoded DF-3 missiles have been outsourced to Saudi Arabia as well.